Welcome to The Cherry On Top. 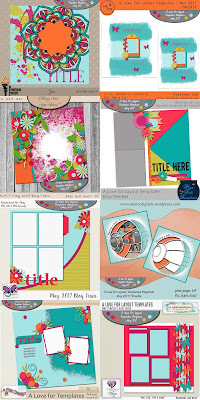 I just love making my stash of templates, kits and other digital goodies go further. Don't you? 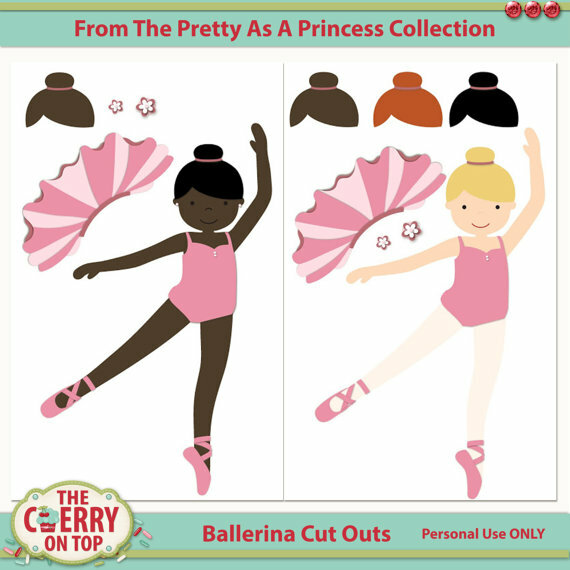 I thought it'd be inspiring to share some of those "off of the page" ideas with you, today. 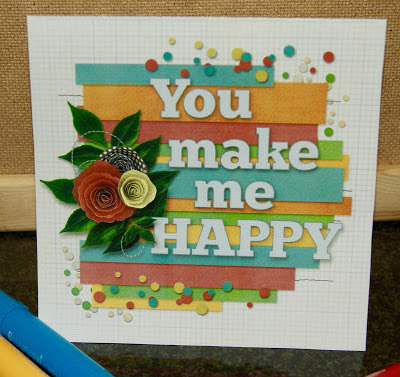 Scroll away and see just a tip of the iceberg of things you can design with your scrap stash. Some super practical, helpful, fun and important projects. 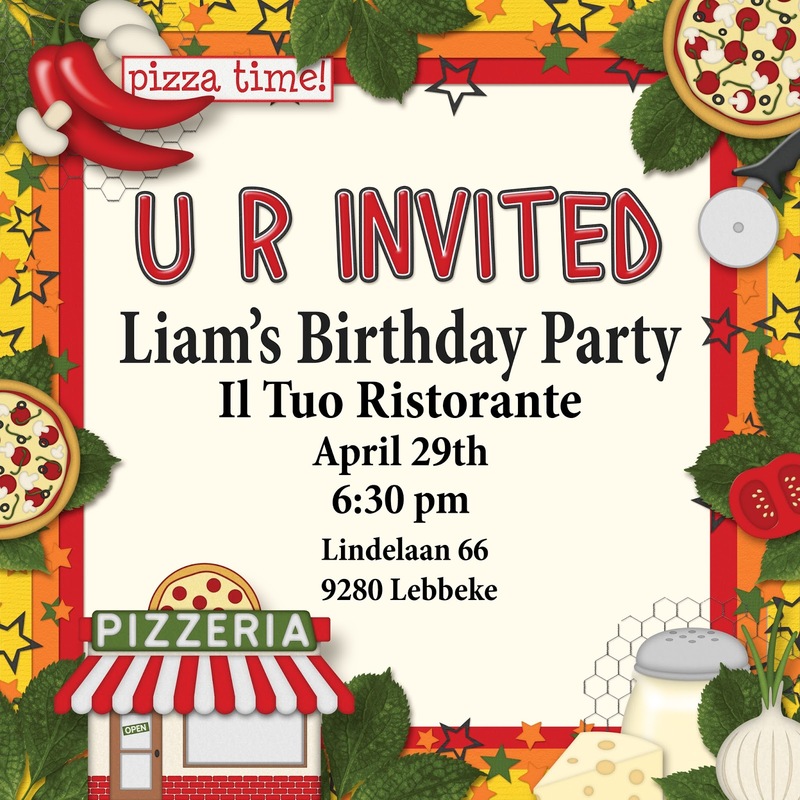 I offered these invitations in a previous blog. Good ole Kim Cameron donated her designs for it. She's just the best! 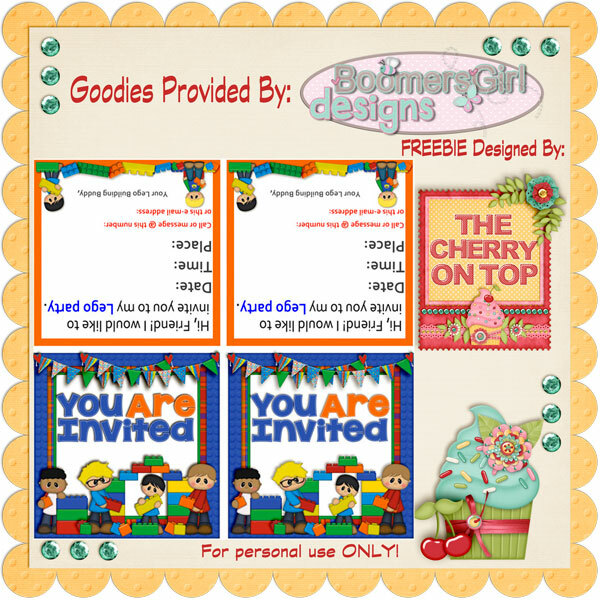 Here's another free invitation I offered and thanks to BoomersGirl Designs for it. 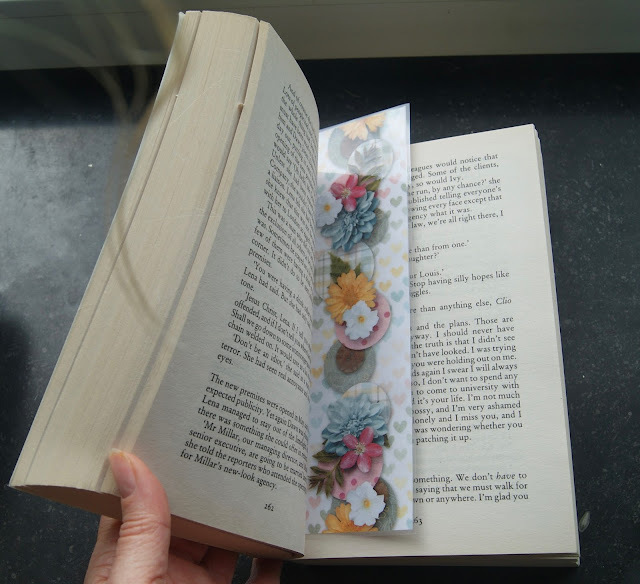 I've made several book markers and you can still get them. This is my latest. Type in book marker in the search field or check out Pinterest board and see what else still might be live. Ya know, planner inserts are all of the rage. Well, here is an example. Every month last year, I gave away the calendar and the inserts. I hope ya didn't miss out on all of that. This month I'm doing pretty desk top calendars. Click here to see the latest one. Wait until you see what I have planned for next year! 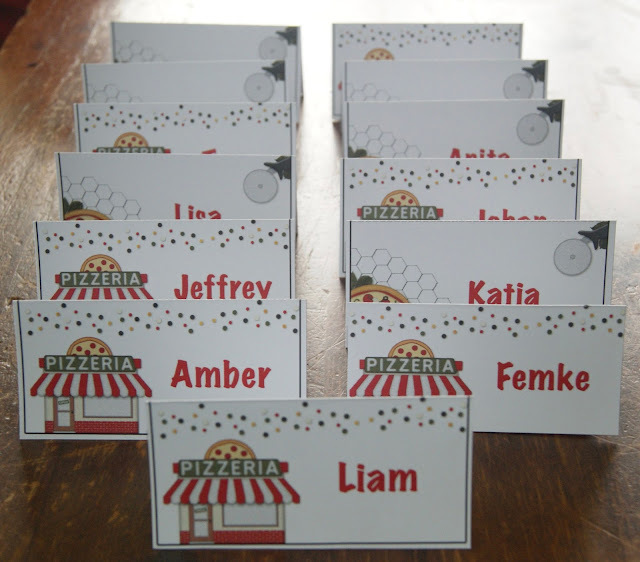 Tags are always useful and you can get them in just the size and shape you need when you design them yourself. You can totally customise to get a more mature or kid feel. I recently made these labels for my tea and spices and offered them for free as well. 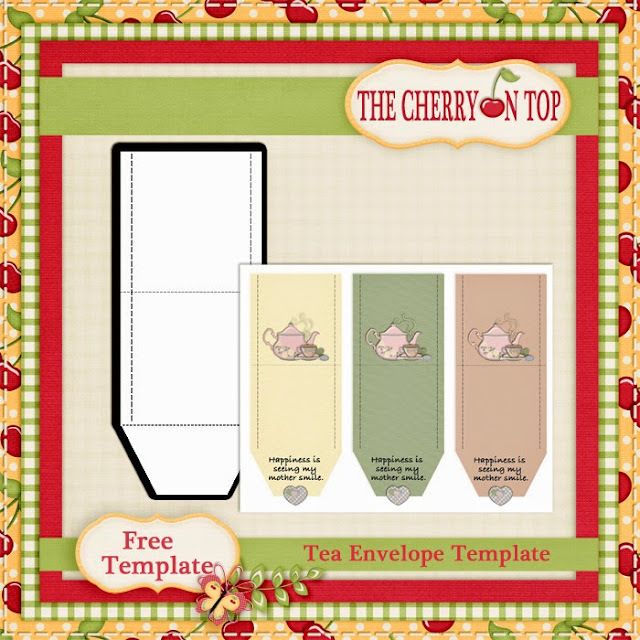 Tea bag envelopes make great gifts! 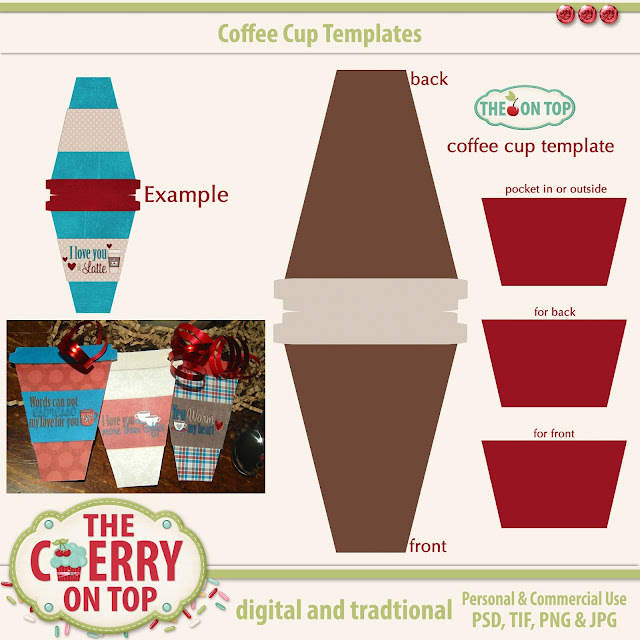 Grab my free template and design your very own! I LOVE making cards. You can totally personalise them so they are perfect. Scroll through our blog if you like, we've got a few free ones as well. Consider shapes when designing cards and tags. Above is definitely one of my all time favourite projects. I recycled some clear, plastic boxes and simply inserted some tiny pages in them and stuff the box with all kinds of goodies and cash for my nieces. Bowed it up and added some more tags from the stash. 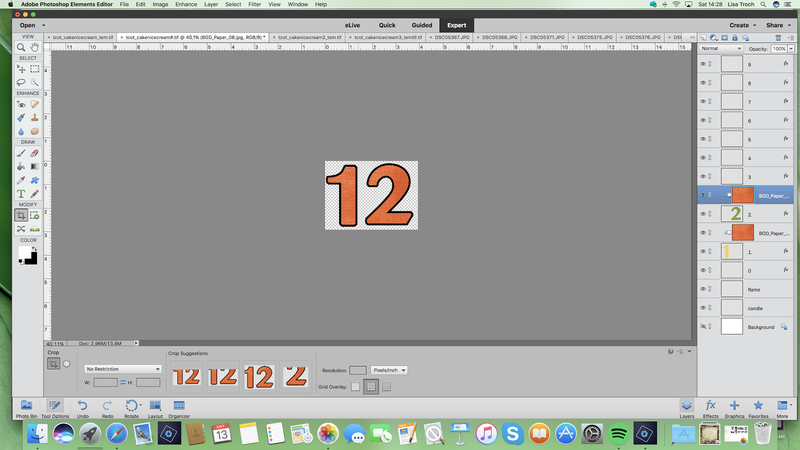 I made a template set to design badges like these. You can go totally nuts with these. They are so much fun! Here are some more fun things to design with your stash or save yourself some time and grab them in our shop at awesome prices. Party supplies can also be designed with your supply. How about bunting for home decor or for parties? 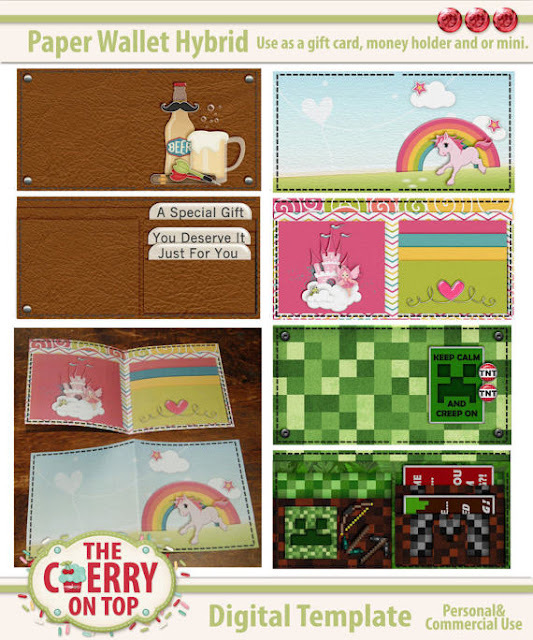 Here are some goodies to design your cards or pages if you like. 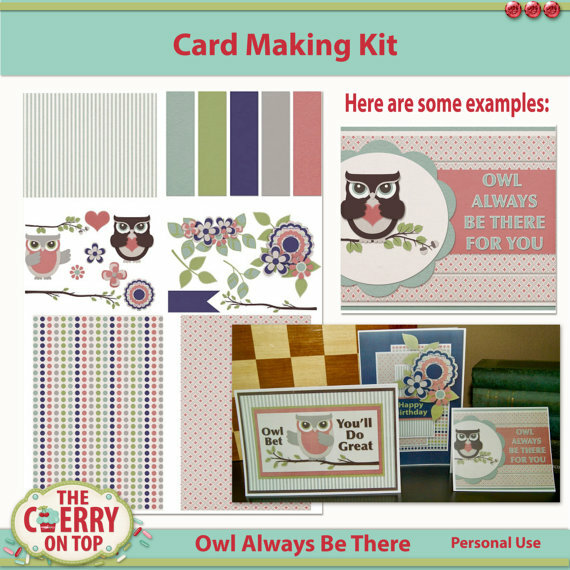 If you want to see how to use this kit to make pages, click here. Another TOP project is this paper wallet, card, gift card, money holder. 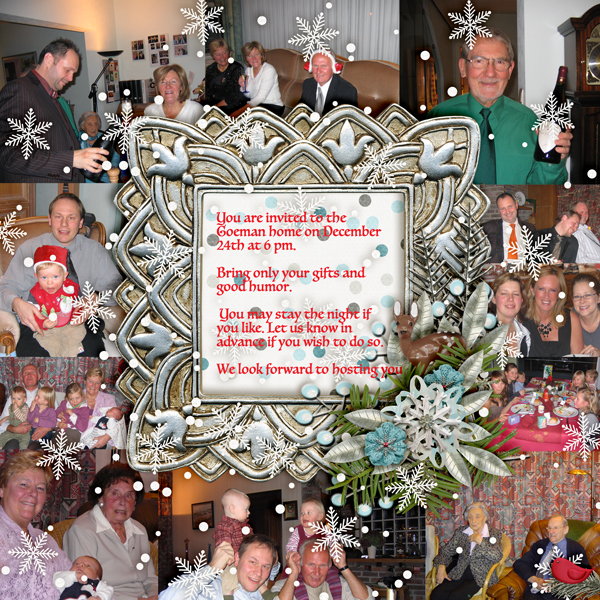 It takes a bit of time to do this one, but it makes the best gift. I've got it all blogged for you. Click here to see the tutorial and get some ideas. I was asked to make some word bits that could be printed over and over and here they are. Print them out on sticker paper if you like. 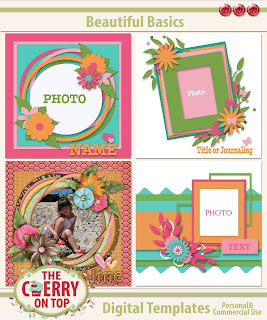 A newer addition to ur shop are these templates. 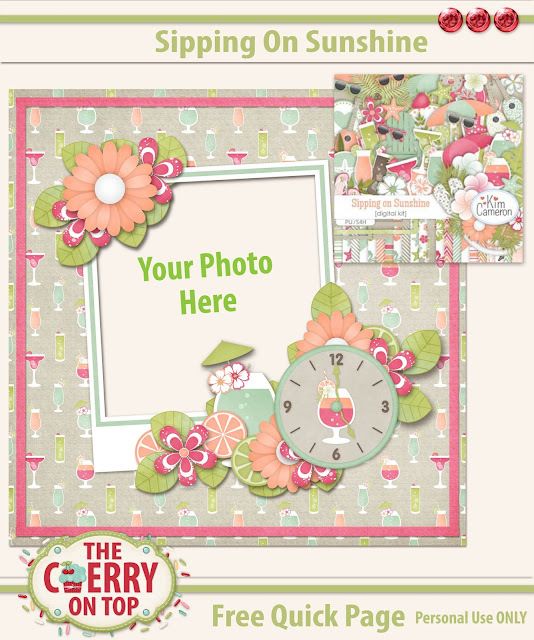 You can make cards, tags or even your very own scrapbooking elements. And here is our free hybrid from last week. The link is still live! I hope we got the wheels turning, now. 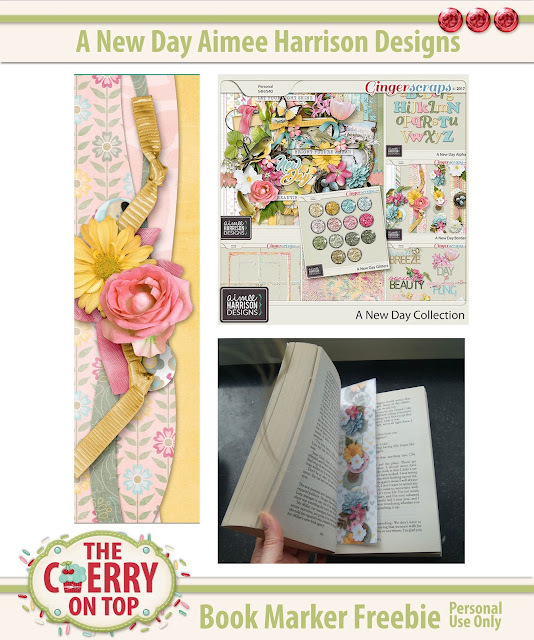 There are so, so many things you can do with all of your scrapbooking stash besides typical pages. 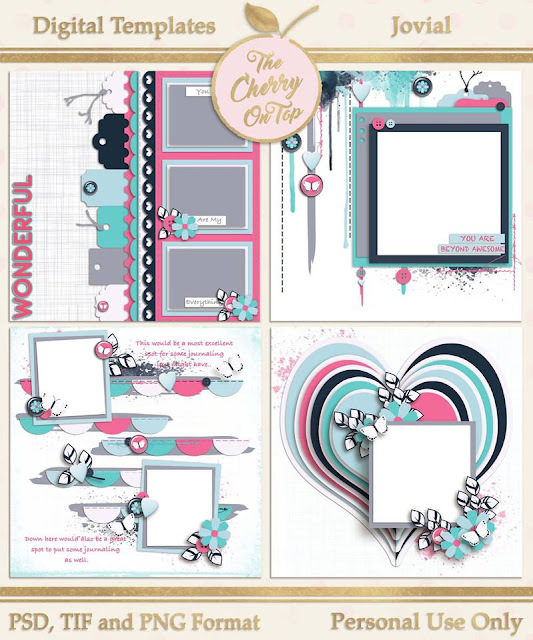 I've got some really great, fun scrapbooking pages to show, today and of course a nice, new free scrapbooking goody for you as well. Yay! Let's sit back and get all kinds of inspired. Ya know how much I love Kim Cameron Designs. I'm working my way through ALL of her kits. I love them so much. They just epitomise my family and the colour palettes are always very tasteful. When I saw Sipping On Sunshine, I knew I had to have it. We're known to sip a bit and these colours are just delicious, are they not?! I went through my photos and grabbed the most recent shots of us sipping or nearly sipping. Hehehe...This is also a peek at a template coming very soon. What absolute fun scrapping with great kits like this and such silly pictures of fun times. 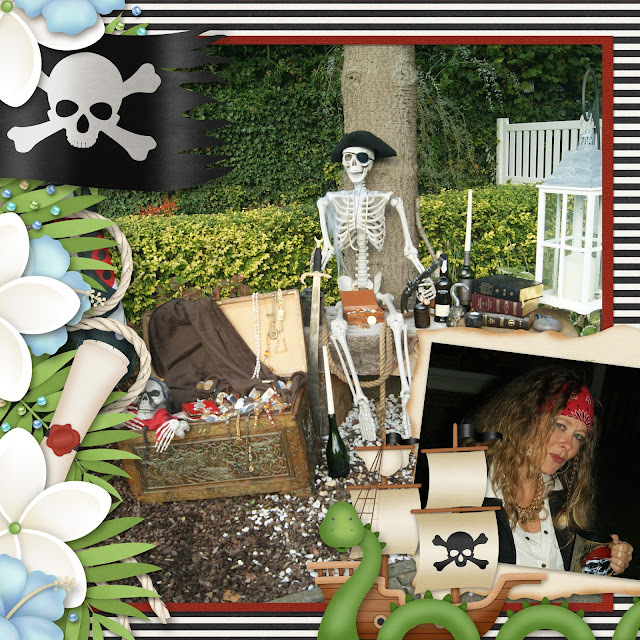 Kim has a new kit out, Black Sails. Do you watch the show? We do! I'm a fan of Captain Black for sure. Last year for Halloween, we dressed like pirates and dressed up our place, too. It was an absolute blast. If you'd like to see my blog dedicated to the event, click here. I've got a lot of pictures. The page above, was scrapped up with Throwing Some Scraps Around's Sea Kissed templates. They are so awesome and the coordinating kit is a must have, too. There's a glimpse of part of my yard. This page also uses another template from Sea Kissed. Enlarge your ellies, slap in a huge photo and you've scrapped! Here's a coupon code you can use on Jodi's newest collection, You're My Lil' Girl. It is so stunning. 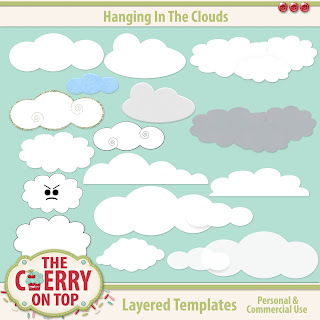 I want to show off a few of our latest templates in the shop and a free one, in case you some how missed it. Thank so much for checking out The Cherry! 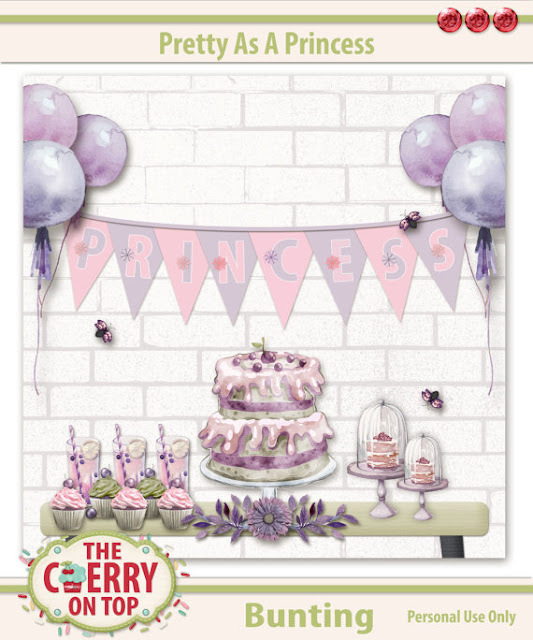 Why not join our other social sites for exclusive freebies, sneak peeks and other scrappy, crafty chatter? We're on Pinterest, Instagram and Facebook. Whoo hoo! Welcome to The Cherry On Top. We've finished up another fun project. 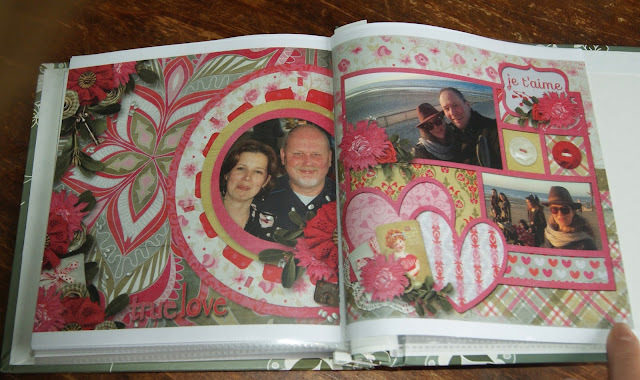 This is our mini, photo reel scrapbooking album. The first part of this blog can be found, here. 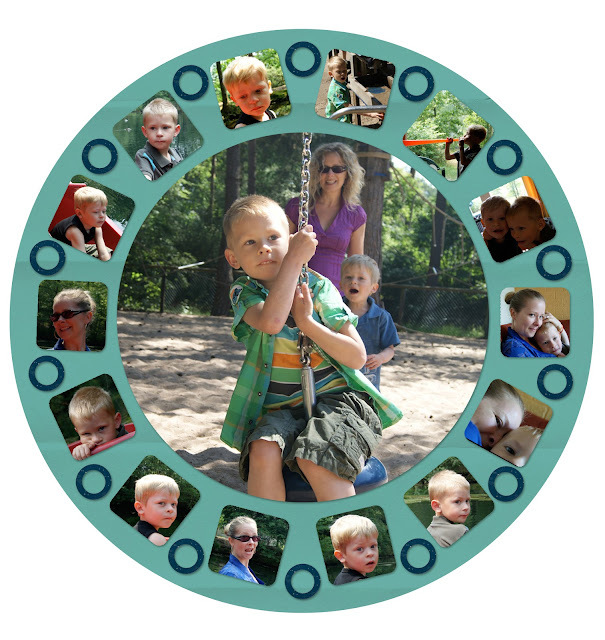 There you'll see how to get your photos in the reels and where you can find these handy photo reel templates, too. This project can be done traditionally, digitally or hybrid style and I've done them all. Traditionally, it is a very challenging project and it takes a lot of time. If you like faster results, consider hybrid and digital. Have your album professionally printed or do it all at home, like I did for this album. This is a bit of a hybrid style project. 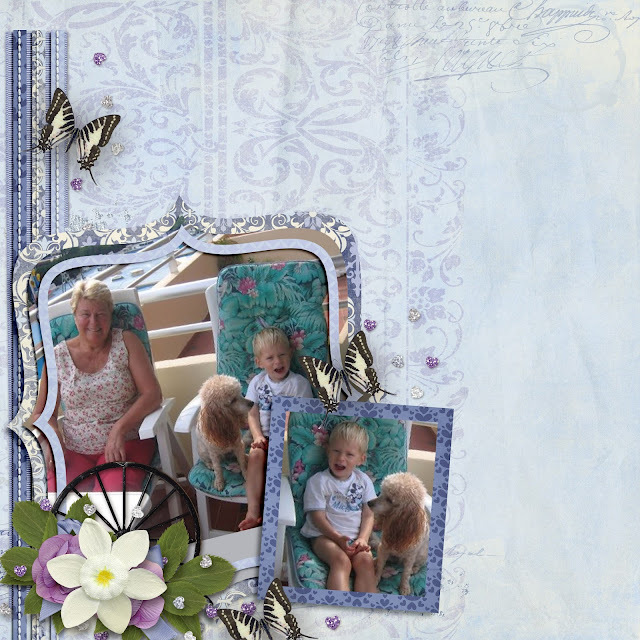 I did all of the photo reels digitally in my scrapbooking program, Photo Shop Elements. Keep reading to see more of this project as well as other recent hybrid projects that might be just perfect for you. We've also got a few links to the freebies that go with them. All in it's glory! My finished mini of a fantastic trip we took to Landal Parks in The Netherlands about 6 years ago. I thought I'd send it to my mom, but now that it is finished, I'm not sure. Hehehe...I really love that I have ALL of these photos of such a fun time in one small, book. If you need to see how we came to this point, click here and start from the beginning. I printed out all of my scrapped templates and decided to add journaling on the back of each page. You can do that also either digitally, like this or write it in if you prefer. I used coordinating papers from the same kit, Heartstrings Scrap Art's, Girls and Boys. I like when my albums are well coordinated. Take a close look. I wanted to include some tips about cutting and outlines. I mentioned them in the first part of this blog as well. Sometimes the outlines look really great and help with contrast. Outlines can also be great when you need to cut. However, if you don't use outlines on all of your pages, when you go to cut out your circles, they might not all back each other perfectly. Consider this when using outlines around the edge of your page. The inside won't matter. Cut off the excess. Keep in mind, the page behind it and often, you lose the nice shape of your circle. Just leave it! Hehehe...If you can centre one page nicely in the centre of the white. It will look fine. Ink it. Use a stamp pad and gently rub or dab all around both sides of your page until the white is gone. If you do this, you may want to consider using it on all of your pages. I did suggestion one and two and think the result looks just great. I totally recommend using different scissors to cut your laminate. I got two circles in one sheet of laminate. Yay! I always think that the laminate makes my images look so much brighter. Laminate will give your project a touch of water resistance and make it more rigid. It might also add to the preservation of your photos, but I'm not sure about that one. It's just something I considered. I used my tiny hole punch after deciding exactly where to punch. Then I used the page before as a template on where to punch in the next page. If you use the same hole over and over it will be larger than the rest. Consider images when you are planning and make sure the hole isn't interfering with some important detail. I used a tiny, metal ring that matched fantastically with my album and I still had some circular embellishments from years ago that also coordinated. Here's the other side and all of the journaling. I'm terrible at journaling. I used a larger font and simply centered each line in the circle. Journaling is important! I know! Especially, with such terrible memory as mine. I always appreciate any journaling later and you will, too. So, dust do it! I can't tell ya enough. You have to print. I've heard so many sob stories about people losing all of their photos. You can't put all of your eggs in one basket. I recently posted about printing from home, in the size you need and simply slipping your pretty pages into the sleeves of a traditional mini. Printing from a professional place might give you better quality and you will pay for it. I always thought that digital was still a lot cheaper than traditional. All of those products costs a lot of money and I could never afford to make pages as lovely as my digital ones, traditionally. All of those gorgeous coordinating elements would cost me a fortune! Click on the above image to see the tutorial. 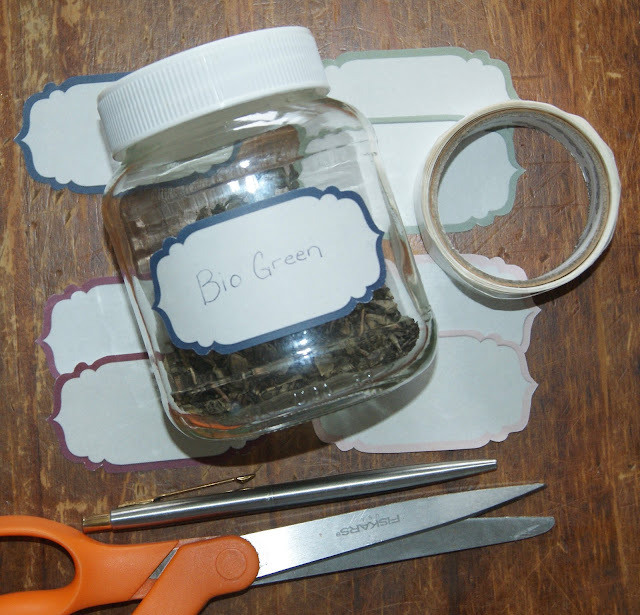 Here's another quick and simple hybrid project I blogged a little while back. These are magnets. Just a pretty frame, your favourite photo and a premade cluster from a designer like Aimee Harrison Designs. Laminate, slap some magnet tape on the back and you've got a pretty project, fast. 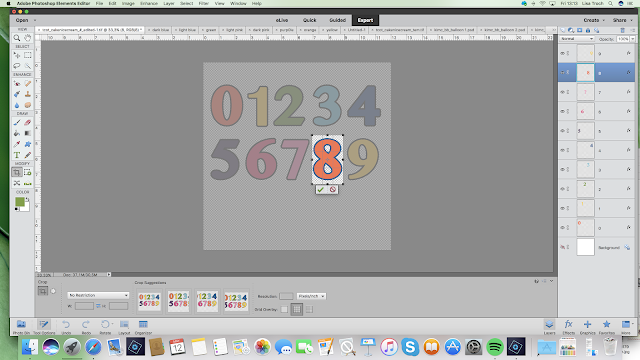 The image is linked up to the tutorial. These book markers were way, too easy. 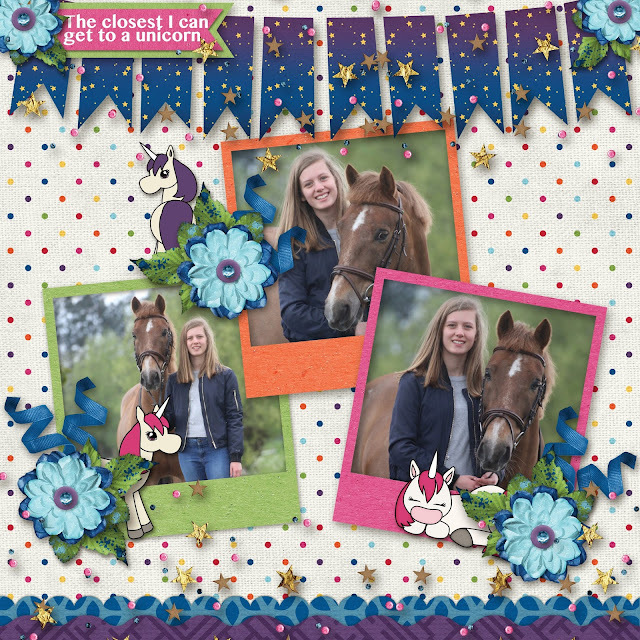 I used Aimee Harrison Designs' premade borders. All I had to do was get them set up on a document in just the right size, print, cut and laminate. What a nifty gift made inexpensively and fast. To get the free book marker, click on the image. I also designed some labels you can find free on the blog. 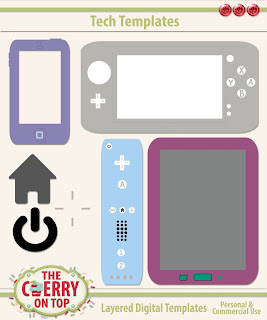 Here is another free printable from yesterday's blog! 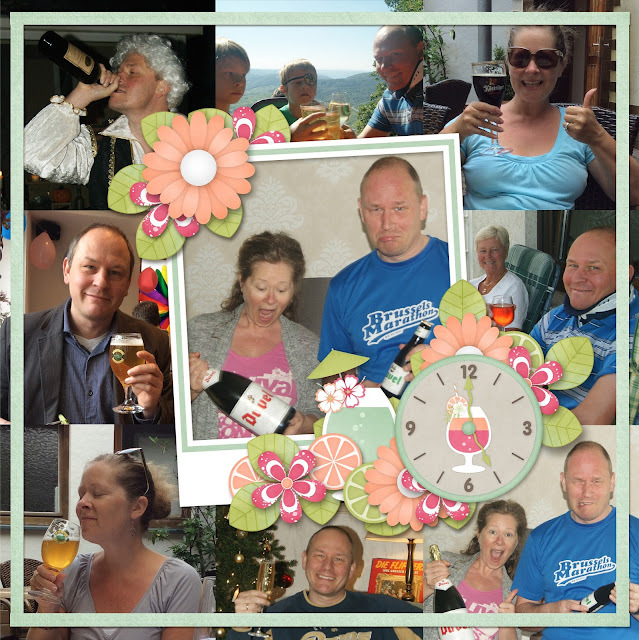 There sure are a lot of things you can print from your digital scrapbooking stash. I hope we've inspired you, today. Hold on to your mouse for you are in for a real treat. I've got a blog full of inspiration, challenges, new collections, new templates and of course, freebies. Sit back, relax, grab well over two dozen freebies and get scrappy this weekend! Well, ain't that a bute! Hehehe... That is my niece with her horse. Do you recognise the collection, Stay Magical? We featured it a few times already. 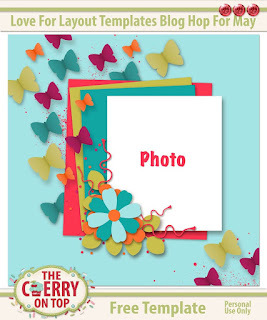 Click here to see more of this totally terrific collaboration from The Cherry and Made By Keuntje. I'm showing off my newest set of templates, Cake N' Ice Cream. 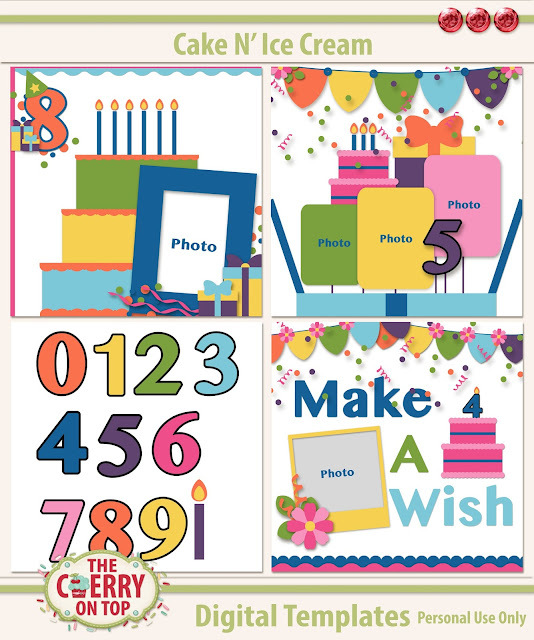 Though there is a bit of a theme with these templates, you totally don't have to scrap party pictures. That's what I showed you above. 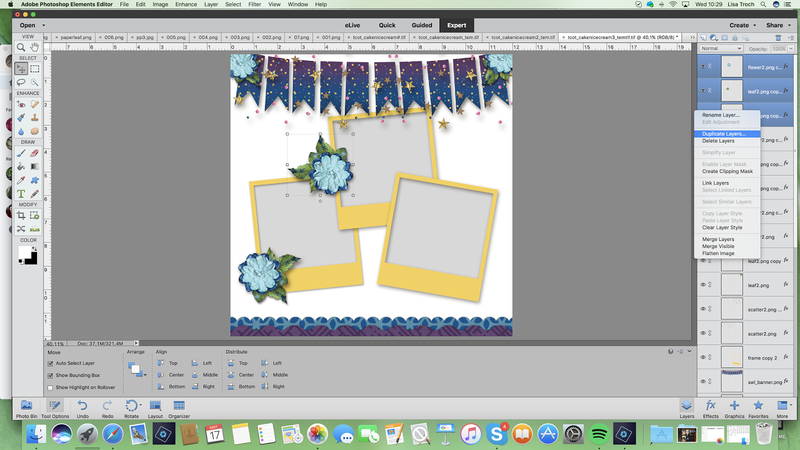 Keep scrolling to see more of these templates as well as a tutorial on other ways to use the new templates. 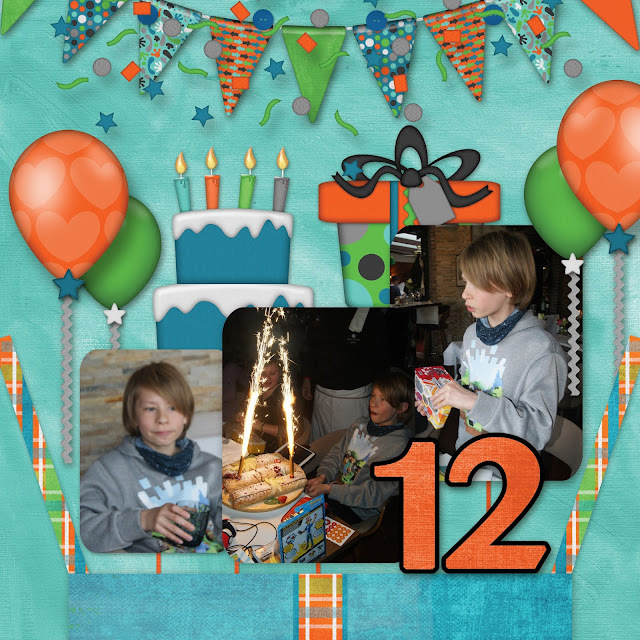 I used BoomersGirl Designs, Birthday Boy kit for this page. It's changed up a bit and it's even cuter, still. My oldest recently had a birthday. I could use my number templates provided in the pack to show his age. I love that! 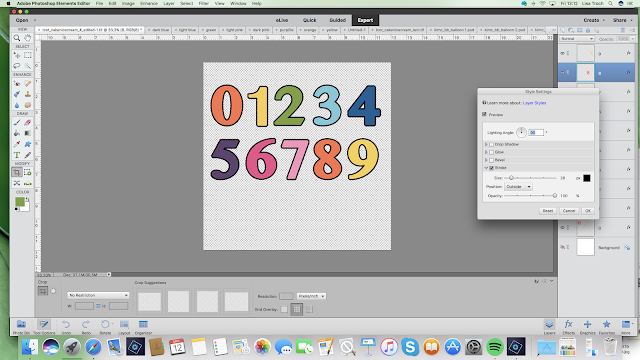 Find out how you can customise the numbers further on in the blog. Wake up! Hehehe...I just love bright on black. Look how happy JJ was to get his Pokemon cake. I never worked with this fondant before, but it wasn't as hard as I thought it might be. It went really fast and didn't cost much either. I used a pretty old kit I had in my freebie stash. It had all of the right elements so I could pretty much use this template literally. Banners, cake, presents...I used my confetti from the template and just clipped in papers from the kit. Whoo hoo! Scrap fast with templates. I thought it also fair to show you how to soften up the templates. Often, a template might not give you the best impression because of what is in your head. Hehehe...With a bright bold template with basic images and especially if it has a theme, it might totally distort just what you can do with it. Here's the softer, mature side of the templates. 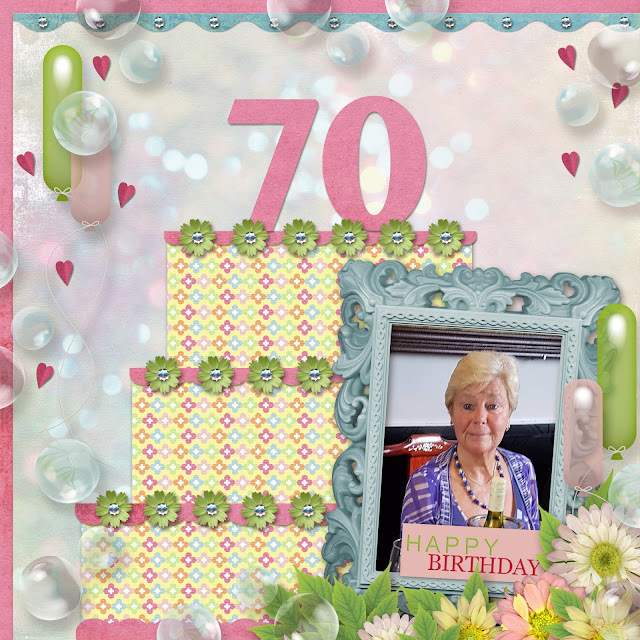 My mo-la just turned 70. Looks like she's dealing with it. 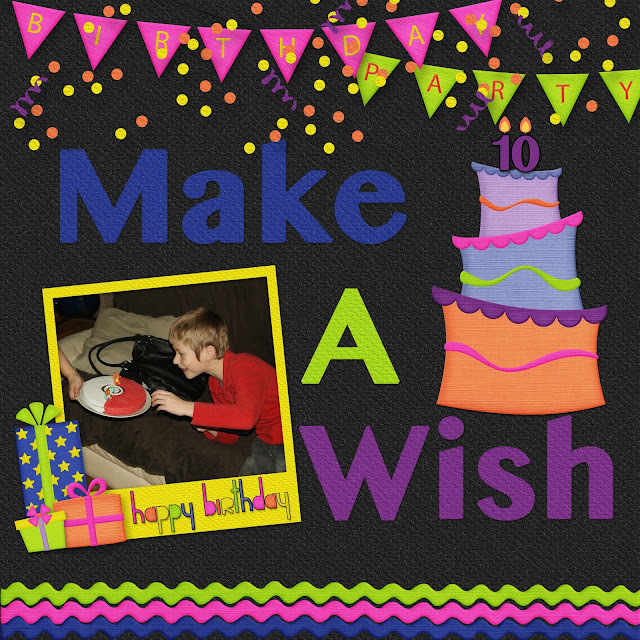 Hehehe...This was also a freebie I got from the Digital Scrapbooking Studio for my birthday. I pulled out all of the soft colours and decorated my cake. Think of how you might decorate the cake. Use borders or ric rac for the icing if you like. Are you seeing it? Pretty cool, eh? 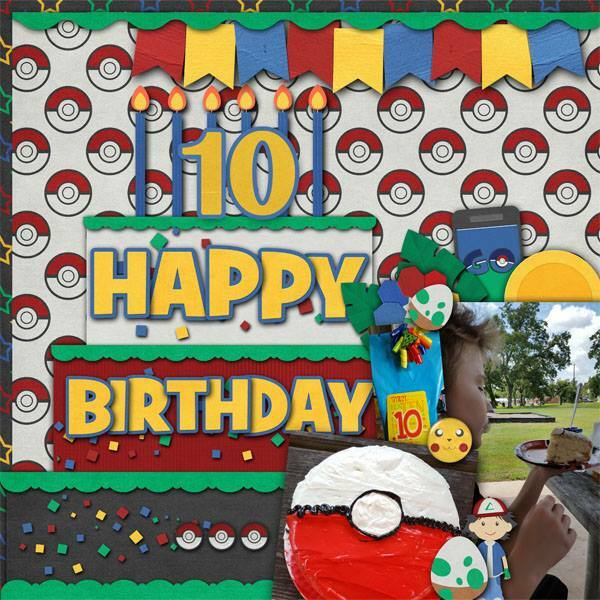 Hilary also made a Pokeball cake and used MagsGraphics fabulous collection, Go! Catch'em All bundle. I played with this collection, too. See more, here. Dana from Made By Keuntje used the template a bit literally as well. Isn't that an awesome pie?! She made it herself! It's a mini from Sonia Scraps, Happy Birthday. Here's a look at the templates, new in the shop. They are just 2,79! This is another look at Stay Magical, our collaboration. 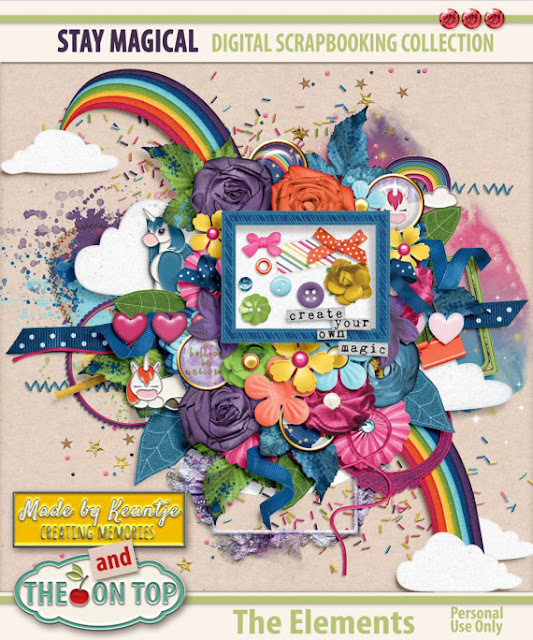 There are a lot of packs in this collection including more awesome templates, planner printables, stacked badges, papers and so much more. Here's our link for our Stay Magical Goodies. 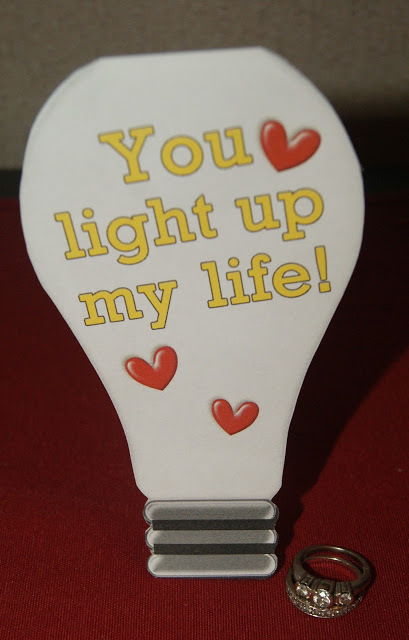 Included in my pack of templates are number templates and this candle. Let's see what you can do with them, shall we? 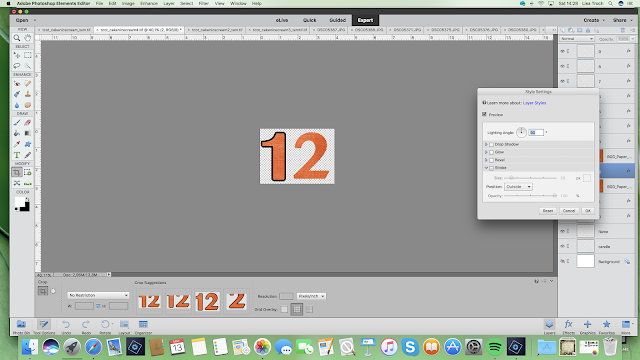 Of course, you can go into your layers and delete the outline, by right clicking in the layers menu and choosing, "Delete Layer Style". You may also change the colour of the stroke, too. Do a quick, double right click on the tiny fx icon in your layers. You'll get this menu you see here. The stroke box is ticked and below you'll see the black box. 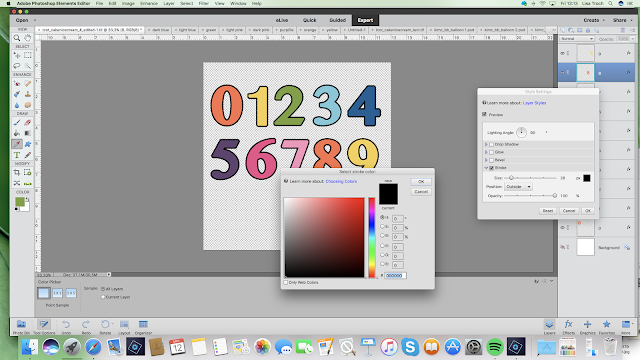 That's the current colour of the stroke and you can change the width, opacity and colour of it. Your cursor (depending on what version you use) will turn into the eye dropper or colour picker. Just hover over the colour you want and click. See how my box changed to blue? Perfect! Then you have to crop out the number you need and drag it into your page. So easy, right?! Just make sure you don't "Save" the sheet of templates with these changes or you might lose your numbers. You can always give me a shout if something like happens. 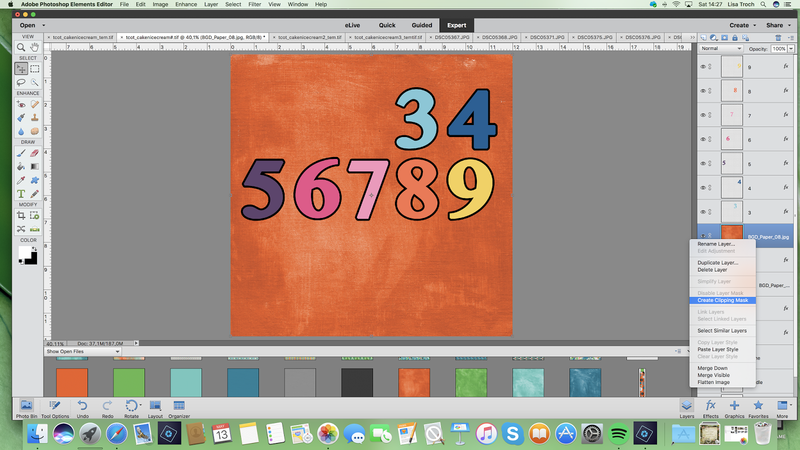 Let's see what else we can do with the numbers. You can also treat them like a traditional template by clipping in a coordinating paper. Drag in your paper, make sure it is over the correct element you wish to change, right click and choose, "create clipping mask" or for Mac, Command G.
You can choose to ditch the stroke if it isn't working with your page. 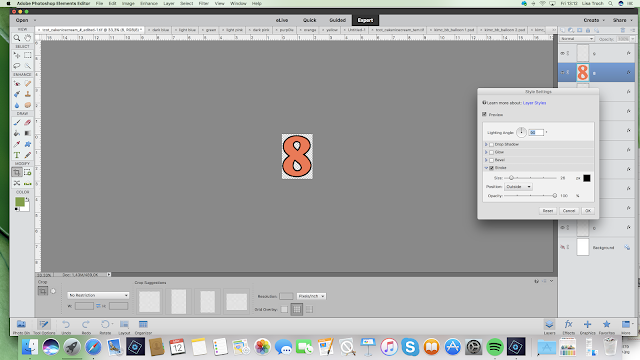 Choose, "clear layer style" or double click the fx icon in the layers menu and untick the stroke box. Here's another example turning your templates into something without a theme and changing up your pages with the same templates. 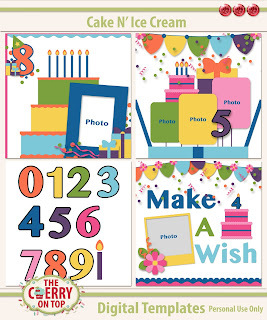 I selected my frame and photo spot and duplicated it twice, positioned them and change the template a bit for photos without a birthday theme. There are a lot of things you can do from there. Design your own border or use one from your kit or collection. Drag in your coordinating elements and repeat your favourite colours for the best looking pages. Let's move on to more templates and a different collection, You're My Lil' Girl from Made By Keuntje and Throwing Some Scraps Around. How's this for a lot of gorgeous?! These delicious colours, those BUNNIES and gorgeous flowers plus so much more. Thank goodness for nieces. 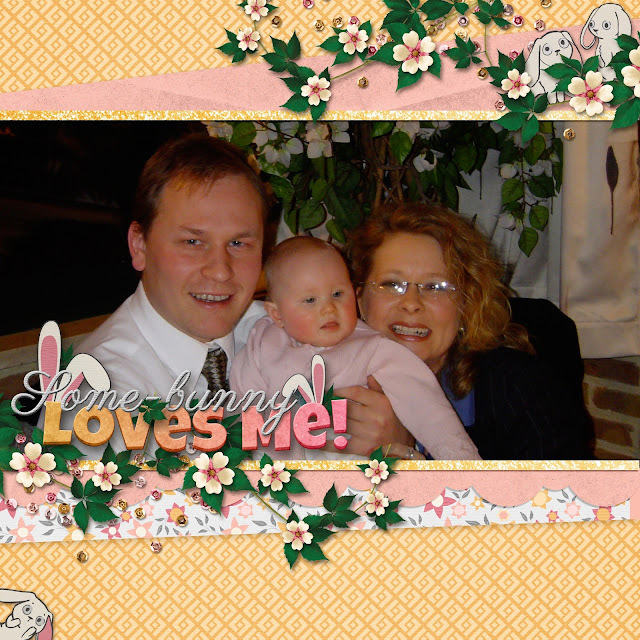 Hehehe...That's me and my hubs with my niece more than 10 years ago. 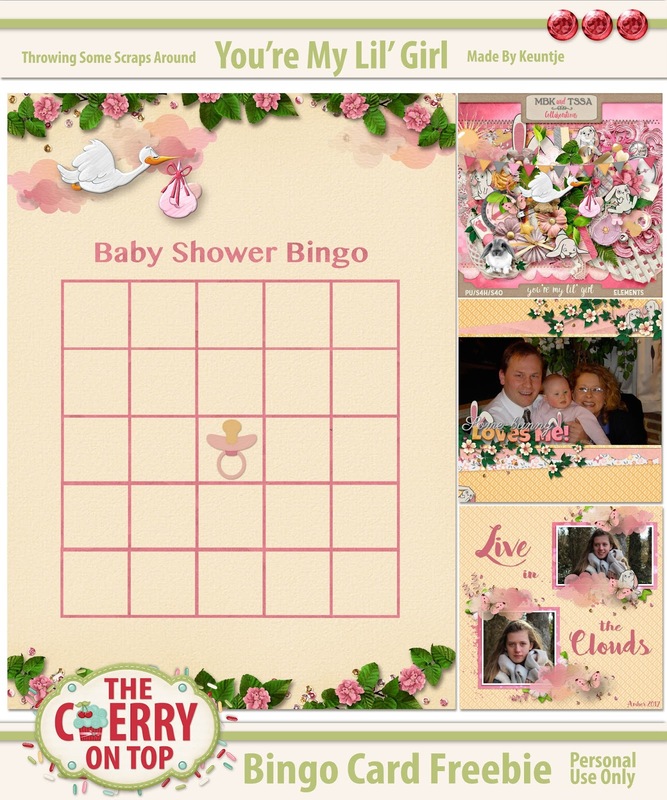 I used a coordinating template from this collection. Keep scrolling to see them and more fabulous packs from this awesome collection. There's my niece, again. The one above and the first on are sisters. This niece looks so much like my youngest son. When you see pictures of them as a baby, you can't tell who is who. Hehehe...Beautiful babies. There is quite a lot of pink in this collection. As much as I love pink, I often have to search out photos to use them because I have two boys, but don't let pink deter you. See what else you can do. Above, I designed a card for my mom for Mother's Day with this collaboration. I scrap pictures of other ladies in the family or pictures of nature. I even scrap other people's kids on occasion. Here is a look at the collection. You just know I had to use that stork somewhere, right? Keep scrolling to see what else I designed with this must have collection. Here are the coordinating templates. Pretty fabulous, right?! Very versatile and I'm sure you can use them over and over. 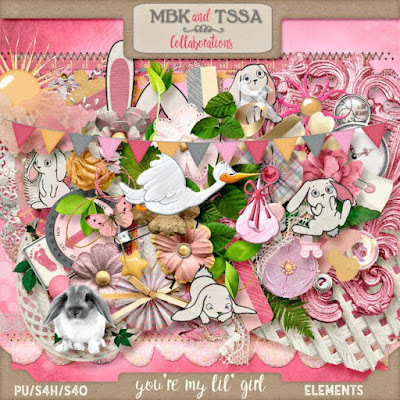 When you visit Made By Keuntje's and Throwing Some Scraps Around shop, you'll see several packs of quick pages with, You're My Lil' Girl. 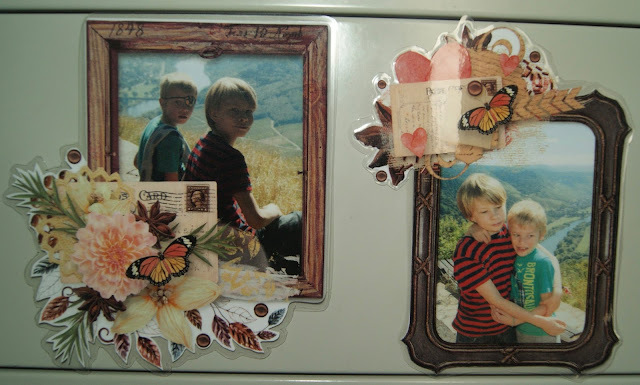 These are so awesome when you love scrap pages, but don't have time to. Seeing how today is Freebie Friday, let's show you some freebies around DigiLand. Above you'll see four fantastic templates. ALL FOUR ARE FREE. 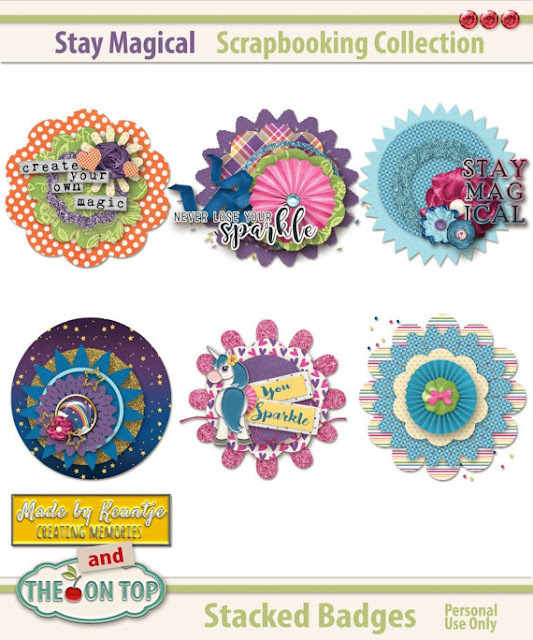 Click on the preview to find out how you can download them and make them a part of your scrap stash. 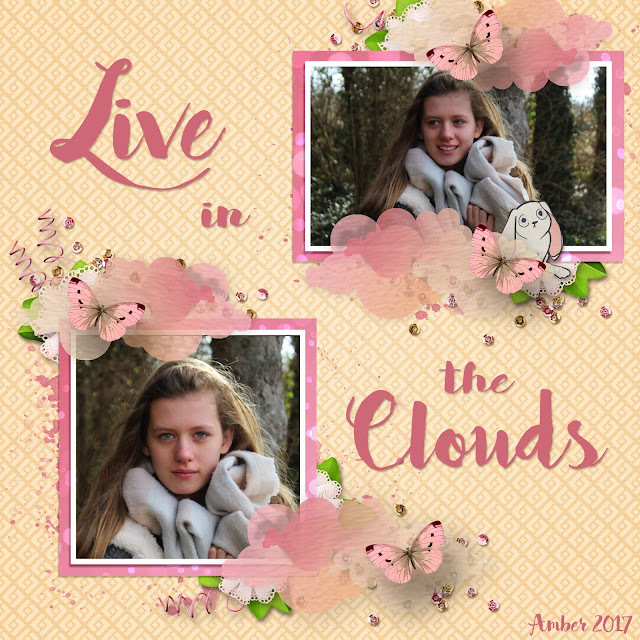 This is the page I made with the templates. I'm still playing with some of the others. They are so great. 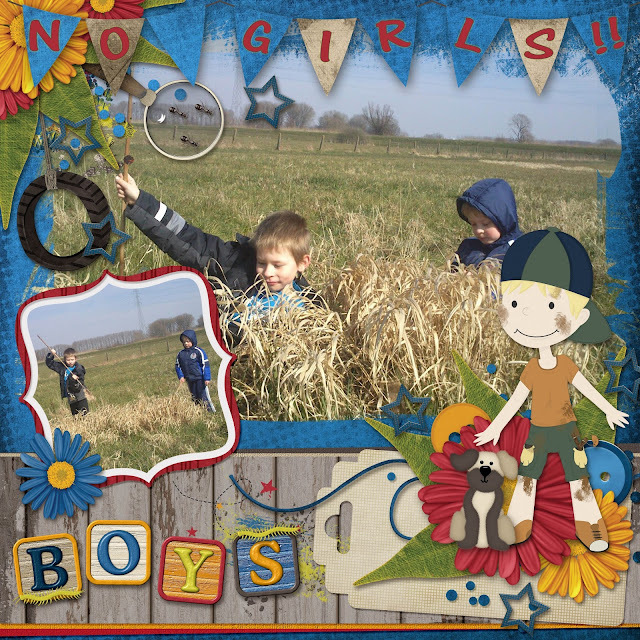 This collection, No Girls Allowed is also from Throwing Some Scraps Around and Made By Keuntje. Find it by clicking on my page. Have you already grabbed all of these free, scrapbooking templates? Click on either image to see the blog for more information and add these to your stash. Here are two more links for over a dozen freebies. That's right! 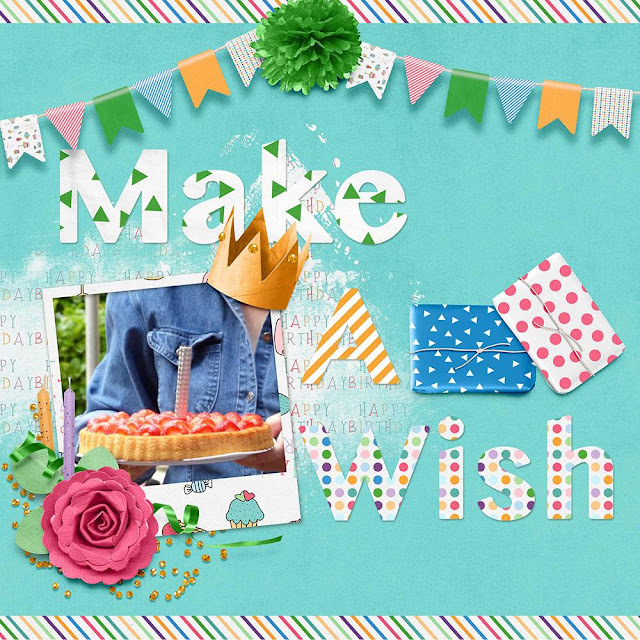 To the left is yet another blog train of freebies, including my template shown here. To the right is our iNSD celebration of freebies. We've left a couple links up for several freebies. They are not all pictured here. You certainly don't want to miss those. This is no longer free. Make sure you sign up for our newsletter to stay up to date and so you don't miss any free stuff. Are you up for challenges? I've put up the new monthly challenge for May in Kim Cameron's fan group. Use a kit of Kim's and tell us why you scrap. 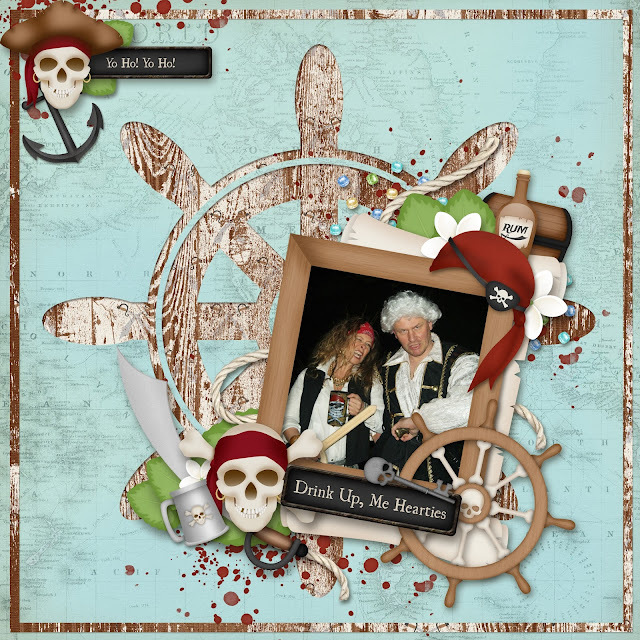 This is my page using one of Lissy Kay Designs new templates, Lots Of Layers. 5 O'Clock Paradise from Kim is one of my favourite kits. This picture totally cracks me up! Over in our group, I've got a challenge for you, too. There are a few over there and one of them is scrapping up your mom or sharing a page you've already scrapped. I find our Photo Reel Templates to be a bit of a challenge. Especially, when you use them traditionally. Shoo! 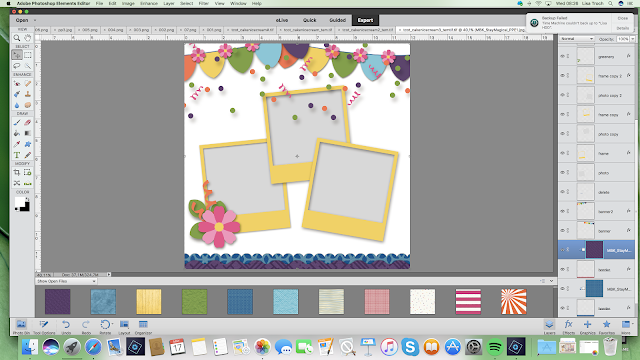 I finished up a tutorial on how to use our templates to make a mini album with a LOT of photos. I took so many photos for this trip and this album was such an awesome way to show them off. Click on my oldest to see the tutorial and more. This is your new freebie using You're My Lil' Girl, a baby shower bingo card. You can write in each box, all of the items you think the mom will receive and if ya get five in a row, you know what to shout. If you're savvy enough you can drag in some of your own items, write or type in items if you prefer. Use gems, candy, tokens, pennies, etc as markers for the game. There are a lot of ideas out there. If you love this collection as much as I do, make sure you come back for June's calendar. I used You're My Lil' Girl for it! Thank you so much for checking our blog out, today. 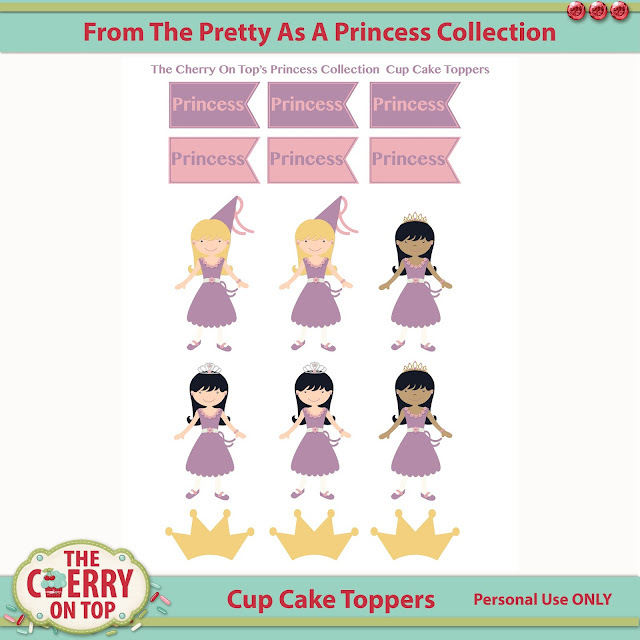 Make sure to make The Cherry your Weekend stop for freebies, inspiration and fun. Thanks for stopping by our blog. I hope to see you in the shops as well as around our other social sites. Find them all in the side bar. 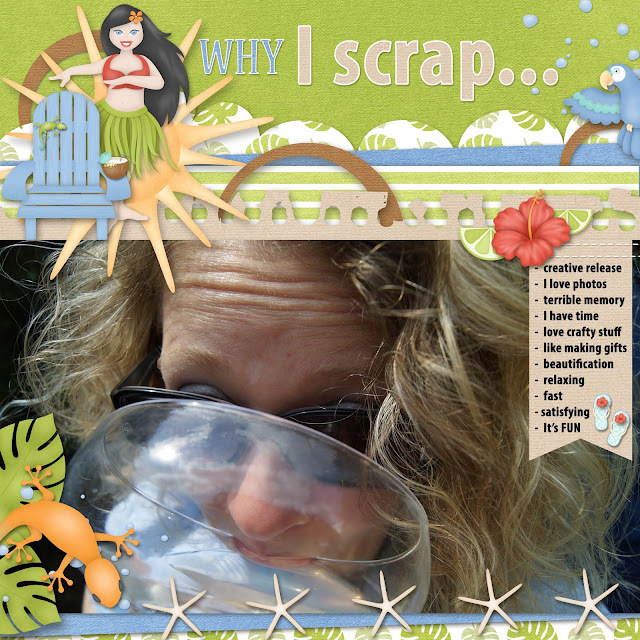 We'd love to have you join our scrap-a-liscious family!